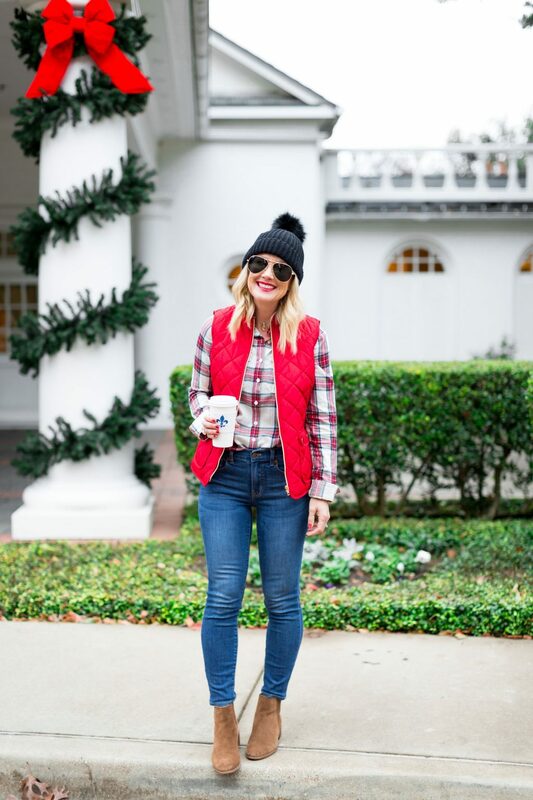 Cute & Casual for Christmas | hi Sugarplum! I’m kind of obsessive about it, but as soon as Christmas is over, I’m ready for a clean slate. How about you? It drives Mr. SP crazy, and he sometimes insists we leave it up until after the New Year. We’ll see who wins that battle this year! 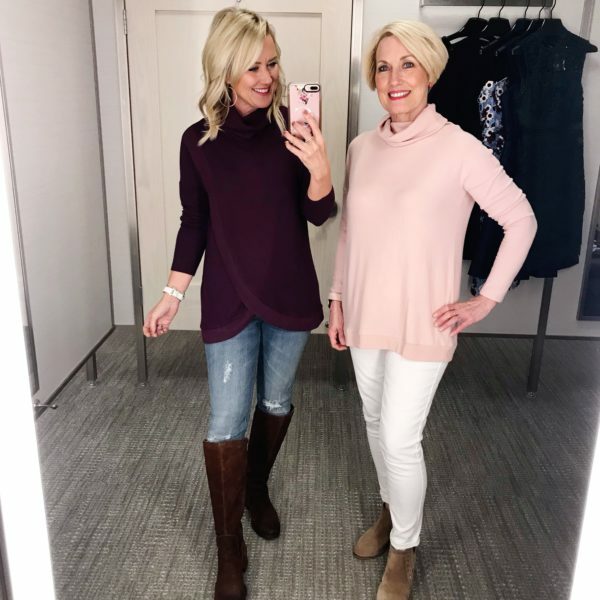 We have several family gatherings between now and Christmas Day, so today I’m sharing some cute outfit ideas for all your casual get-togethers. 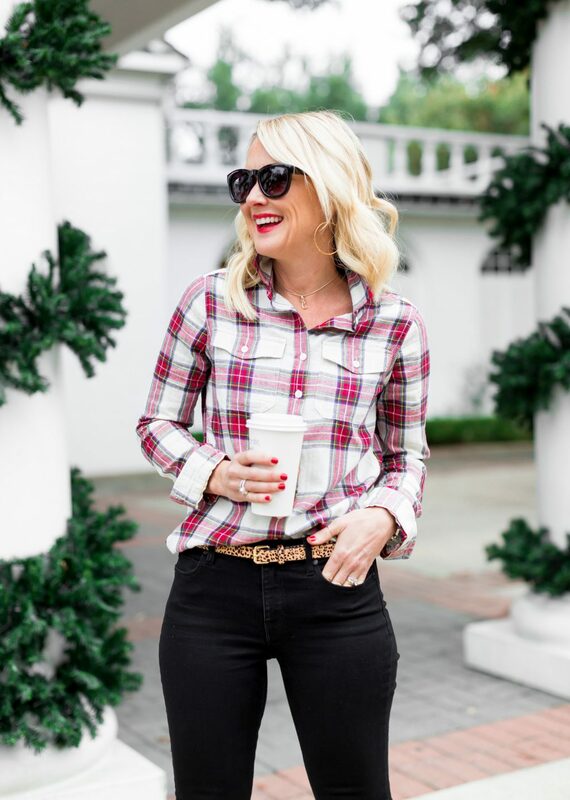 This darling Christmas plaid is the center of them both, and it’s all surprisingly affordable! 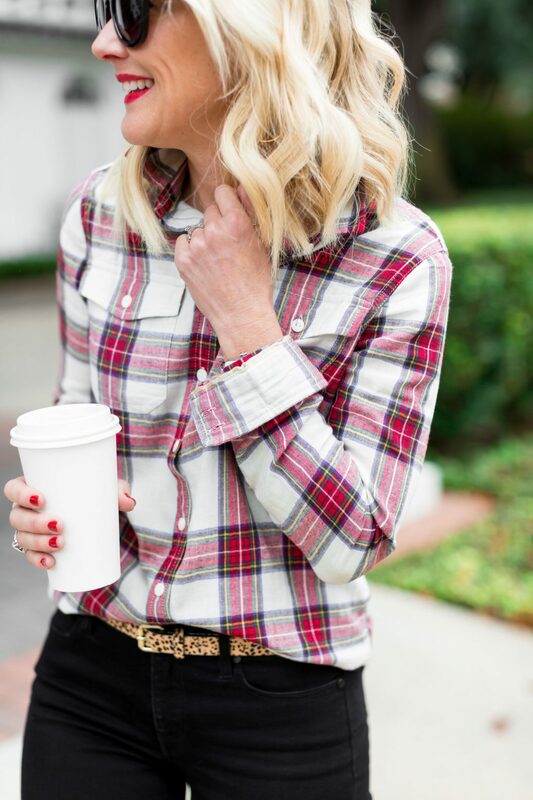 I love the classic colors of this plaid, and it’s soft brushed flannel for extra coziness. 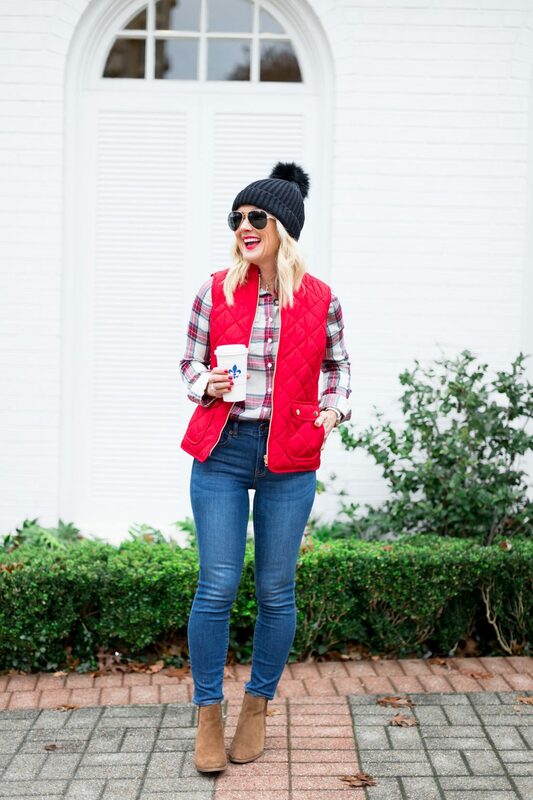 Paired with black jeans and boots, the whole style is elevated to a dressier look. Fit Tip: I’m wearing an XS, but would prefer the fit of a small. Fit Tip: I’m wearing a small petite. 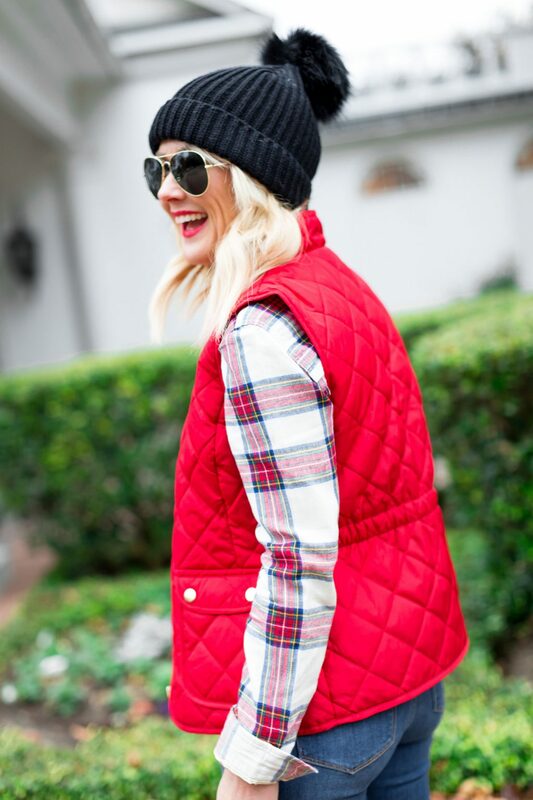 For a more casual look, I paired the plaid with a quilted vest and flat boots. 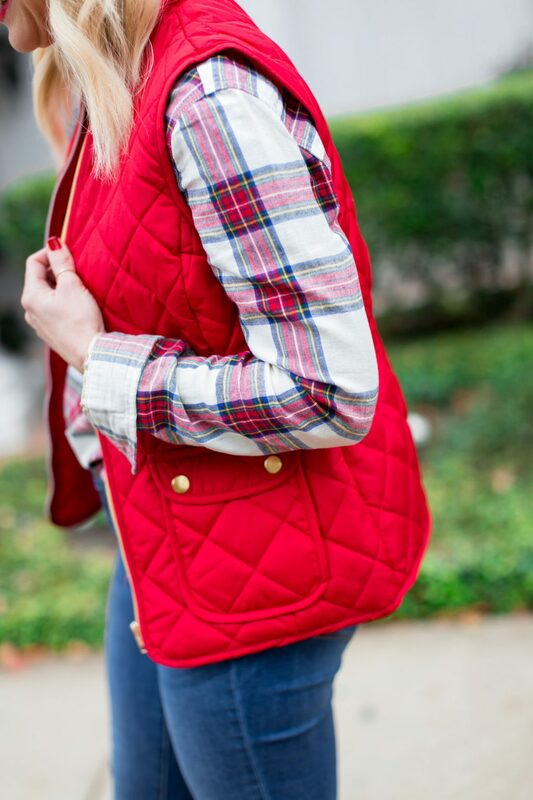 The red is so festive for Christmas, and this vest comes in tons of colors and patterns, and a steal at under $20! 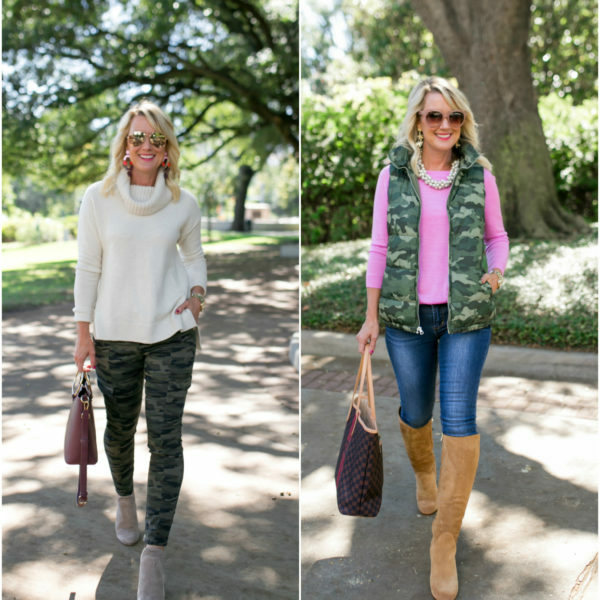 Fit Tip: I’m wearing an XS vest, but would prefer a small. 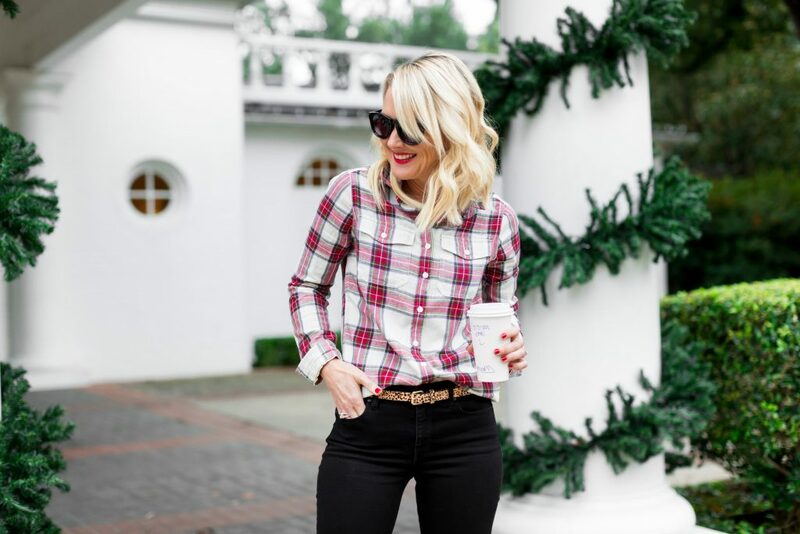 Such darling finds from JCPenney, don’t you think? They’re offering unbelievable sales on so many things for Christmas, including Toys, Entertaining, and even a huge selection for your furry babes! What are your Christmas Day plans? And what will you be wearing? We start the morning at home, then move to Mama Sugarplum’s for a few hours, then back home to host Mr. SP’s family…always a fun and busy day! That black coat is adorable!!! That shirt is so festive and cute! And OMG at that coat!!!!! WHAT A FIND! 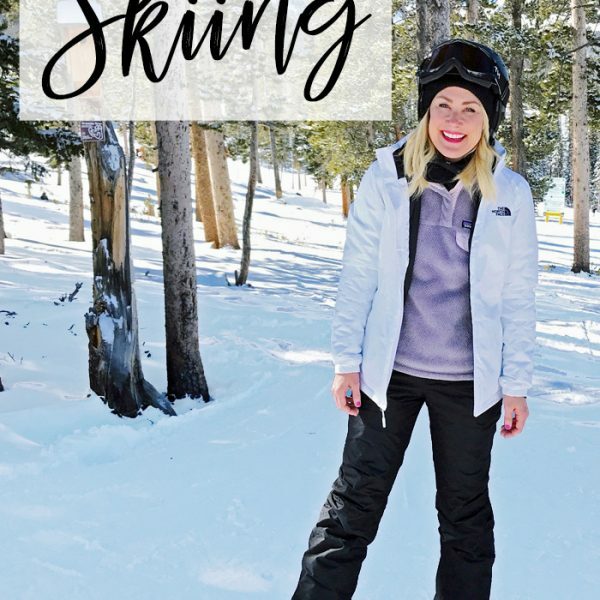 I have recently found your blog and I love it! Your home is beautiful and I love you and your mama’s style. May I ask how tall you are? Christmas season ends with Epiphany, Jan. 6, so it’s perfectly reasonable to leave Christmas tree up until at least Jan. 1. Christmas season ends at Epiphany, Jan. 6. So it’s more than reasonable to leave decorations up until at least Jan. 1. Oh boy, we are all in love with that coat! We keep our Christmas decorations up until Epiphany. In the Midwest, winter is quite long, so to begin the first week of the new year with lights and festive decorations sure is comforting! We generally do not start our holiday celebrations until Xmas eve due to work schedules so we may leave the tree up until Jan. 15 or do. I teach and most of our family works for a college or nonprofit or are self employed farmers so we cannot do much celebrating until the week of the holiday. A little sad that our culture is so eager to end the season. It’s not so much that I’m eager to end the season, it’s just that I’m ready to have my house back in order and minimal! After 6+ weeks, it starts to feel cluttered to me. But everyone is different!! I agree with you! It has nothing to do with ending the season. For those of us who believe Jesus is the reason for the season, the season lasts all year! I love to have my house decluttered. I tried decorate a little less this year so I wouldn’t feel like it was so cluttered. I often take mine down on a day that coordinates with my cleaning lady coming if it works out just perfectly since she only comes every two weeks. To take it down one day and have the house cleaned the next is the best! And I had to have that black coat – my bday is 1/6, so I asked my girlfriends to get it for me. Merry Christmas! Just curious if your lipstick color is the same Lancôme 132 you listed in your previous post. If so, is it your go to red or do you have a red color you recommend? Hi! 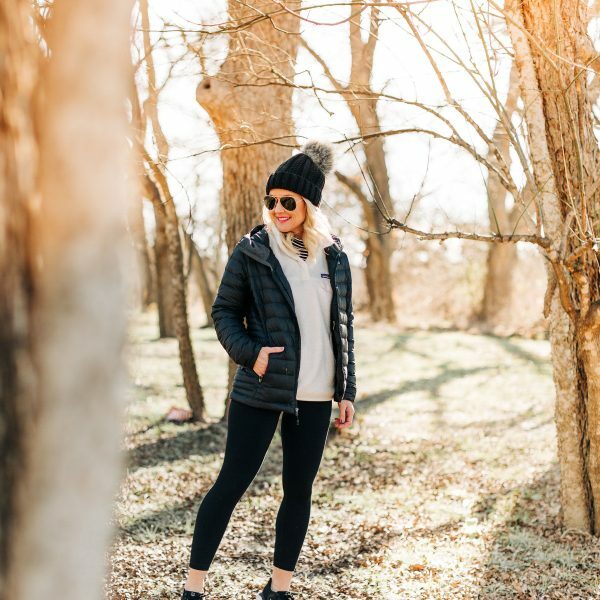 Love the jacket and your nlog! Just a quick question about the shade of lipstick you have on. Is it the same lancome shade you cited in the last post I believe it was shade 132? Is that your go to red color? If not, do you have a go to red lipstick that you would recommend? 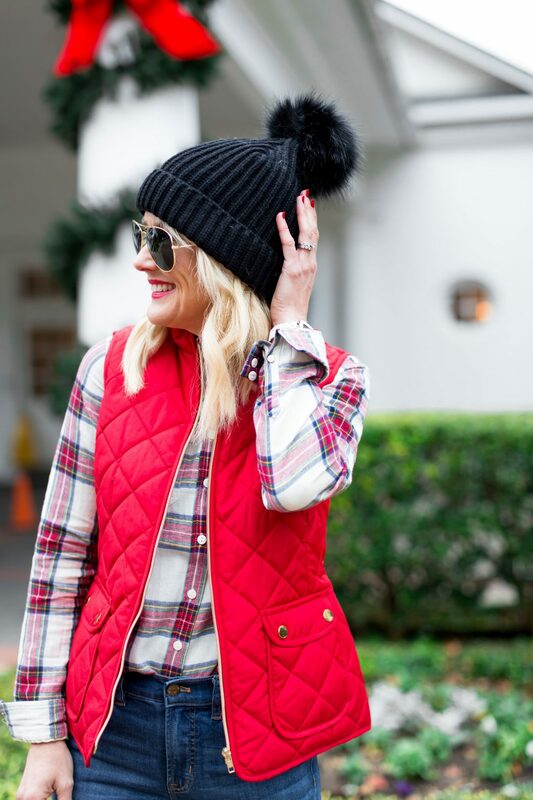 Yes ma’am…that’s my fave red, and the one I’m wearing in this post! Love some info about the black boots you’re wearing with the coat. Love those!